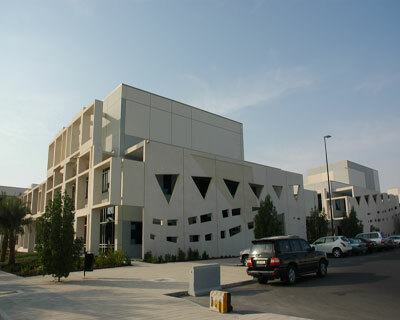 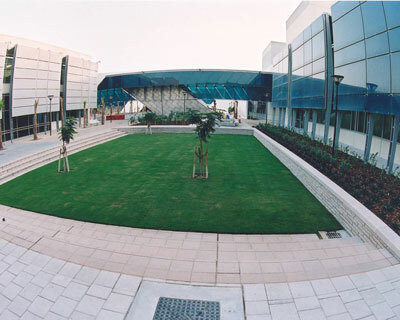 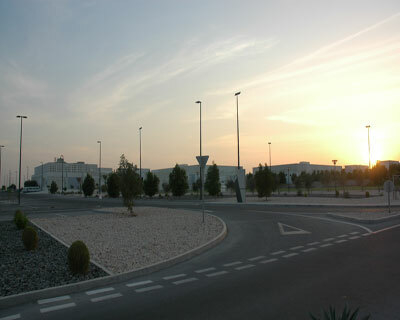 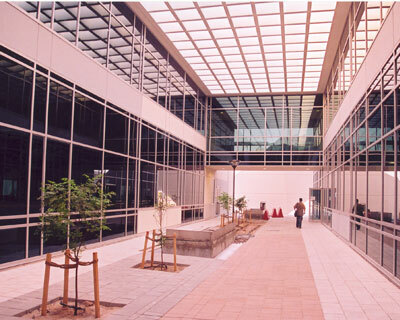 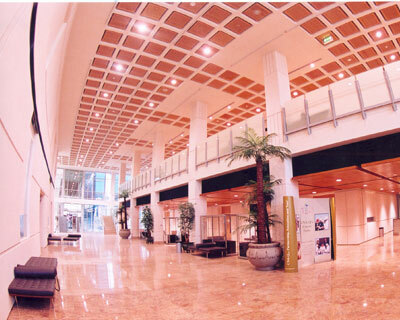 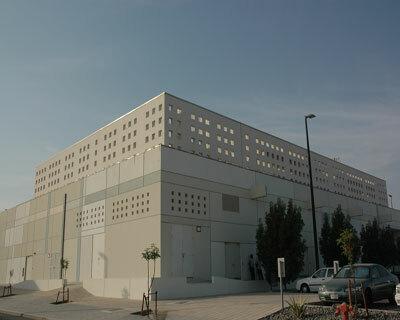 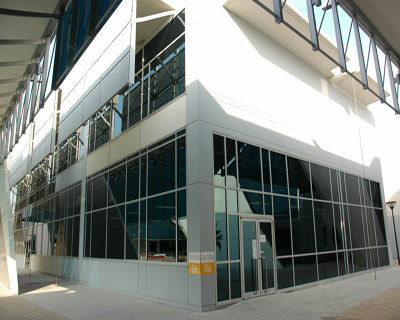 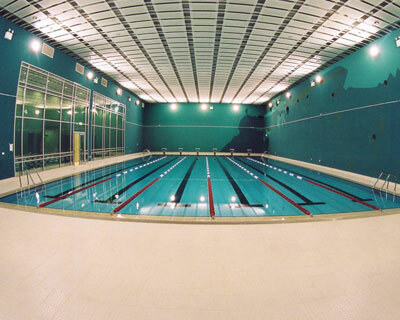 The construction of 21 multidisciplinary buildings comprising classrooms, workshops/labs, cafeterias, recreation facilities, auditorium and administration buildings of the COT project in Doha, Qatar were handed over to and occupied by the College of The North Atlantic-Qatar (CAN-Q) since September 2005. 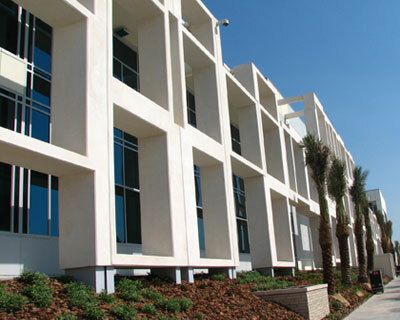 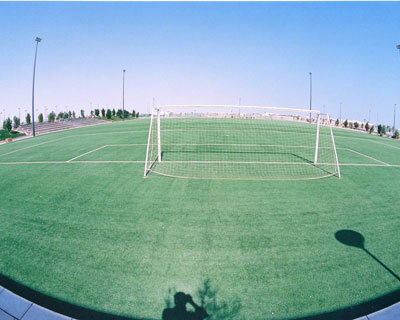 The new external infrastructure for campus area of 300,000 m2 was equipped with world class facilities is located next to the University of Qatar. 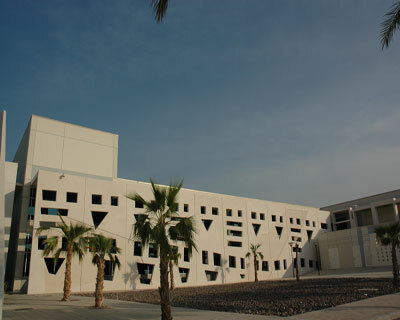 Its design blends the traditional design of Doha’s alleys and courtyards – the Baraha – with ultra-modern materials like glass and steel. 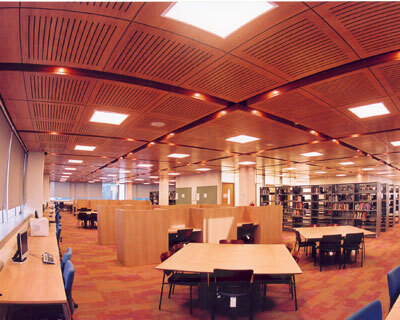 The wraps around walls are a recollection of graphic tapestries. 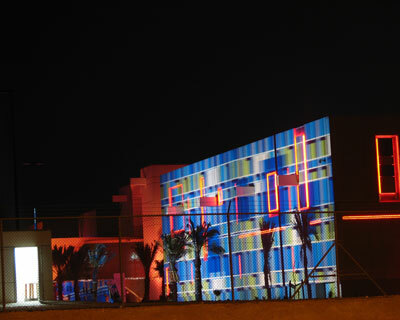 Cultural differences and symbols are blended with cutting edge technology. 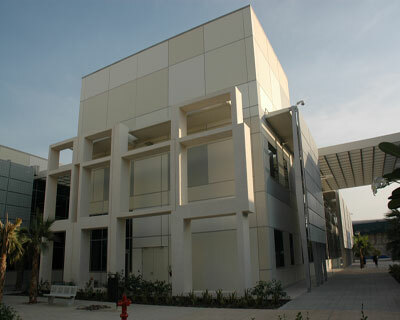 The 3-storey high obelisk at the entrance of the COT is constructed out of RC concrete, stainless steel and glass panels. 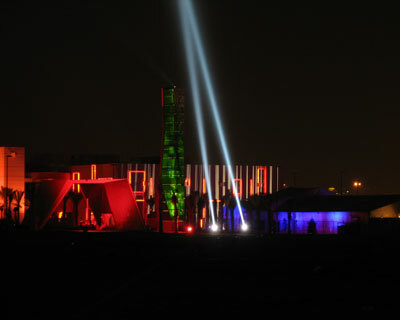 At night, the obelisk and buildings are aglow with a dazzling display of laser lights.